A close up. If you want a picture of a butterfly you should get comfortable and be patient. The butterfly will eventually stop long enough for you to take the picture, you just have to be ready. Most of the time if there are flowers the butterfly will be there for several minutes and you should have enough time to get a least one decent photo if not more. 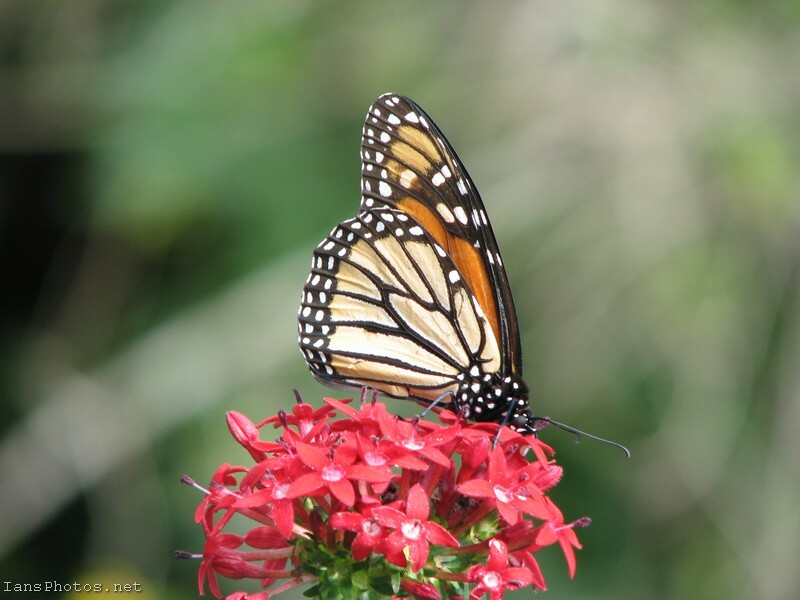 I don’t see the monarch butterfly as often as others but it does make a great photo.